Thorn was a favourite of Crucible champions in Destiny, and it looks like the Destiny 2 version is going to pack the same punch. 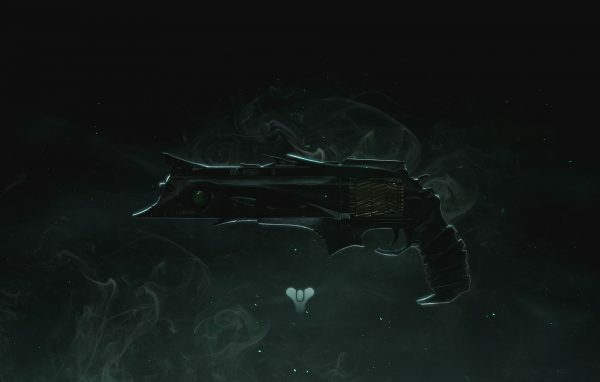 Thes intrinsic perk for Thorn is Mark of the Devourer, where rounds pierce the target and deal more damage over time and kills by Thorn leaving behind Remnants. Its main trait, Soul Devourer, absorbs these remnants, partially refilling the magazine and strengthening the Mark of the Devourer. Pretty cool, huh? If you’re ready to unleash hell on your opponents in the likes of Gambit Prime and the Crucible then look no further, it’s time to get nasty. There are seven quest steps to follow to get Thorn and, as usual, they’re a bit of a grind. To begin the Thorn quest, you’ll need to head to the Salt Mines in the EDZ. To get there, spawn close to where Devrim is holed up in the church and go round the back to the blue archway. Follow the path through until you reach the Salt Mines. Head towards the metal building you see as soon as you enter the Salt Mines, and head to the back of the warehouse until you reach a Transmat pad. Face the Transmat and interact with it. When you spawn on the other side, run in the direction you arrive facing. Carry on up the hill until you reach a large forcefield then hug the wall to the left and go along a narrow ledge, through a small tunnel. You’ll reach Shin’s camp, where you can sift through the ashes of a burned-out fire, near the dead Guardian. You’ll then find A Melted Hunk of Metal – your badly damaged Thorn. Take it to Banshee-44 in the Tower to begin the quest. Once you’ve done that, rather than risk upsetting Zavala, head over to the Farm and speak to the Cryptarch, Tyra Karn. You’ll then be tasked with gathering Sapphire Wire. You can earn this by defeating Hunters in the Crucible, completing Ana Bray’s bounties on Mars or completing an Escalation Protocol. Given that you’ve likely surpassed the 600 Power level mark by now, I’d suggest doing the latter as it yields more rewards and is a faster means of collecting it. Here’s where things ramp up in difficulty. You’ll need to complete an Epic version of the Savathûn’s Song Strike on Titan. Bring a crowd-control weapon like a shotgun and it would be a good idea for Warlocks to equip the Well of Radiance. Next, you’ll need to gather Hadronic Essence by completing Nightfall Strikes, defeating Warlocks in the Crucible or completing bounties for Asher Mir on Io. Much like before, completing Nightfall Strikes progresses this step faster, but it’s up to you how you proceed. For the second-to-last step, you’ll need to gather Plasteel Plating by defeating Titans in the Crucible, completing bounties for Sloan on Titan or completing a few rounds of the Blind Well. Progressing to a Heroic Blind Well stage will contribute the most progress for this step. Lastly, you have to enter the Crucible. You’ll need to defeat Guardians with Void Energy or Hand Cannons. Using Void Hand Cannons is the most efficient way to do with, and taking part in the Iron Banner or Competitive Playlist will also help you progress faster. Once you’ve completed all of that, Thorn is yours. Revel in it. If you need a break from this quest, you can check out our Allegiance quest guide here before you pick a side. You can check out our guides to see what Exotic and Pinnacle weapons are coming to Destiny 2, how to boost your power to 640 and our guides on Gambit Prime and The Reckoning. You can now visit Xur and begin the Invitations from the Nine activity today and all of The Reckoning tiers are now unlocked. The Legion’s Folly map in Gambit Prime will also be available after the weekly reset. For more tips and walkthroughs, check out our Destiny 2: Forsaken guide.